Whether you have family flying in from all over the country, or you’re planning a come-as-you-are Friendsgiving feast, create a warm and welcoming home with DIY décor and traditions to span generations. Artificial fruit covered in gold leaf means your festive décor will never spoil. Just insert wooden skewers into artificial fruit such as pomegranates or pears. Coat each piece of fruit with gilding adhesive. Stand skewers upright in a piece of Styrofoam and let the fruit dry until tacky (about 7 minutes). Following manufacturer’s instructions, apply sheets of gold leaf until the fruit is covered (approximately two sheets per fruit). Repeat with each fruit. Display in a bowl, or on a tray or cake stand. Everyone knows that the kids’ table is where the real fun takes place! Swap the stuffy linen tablecloth for a sheet of kraft paper. 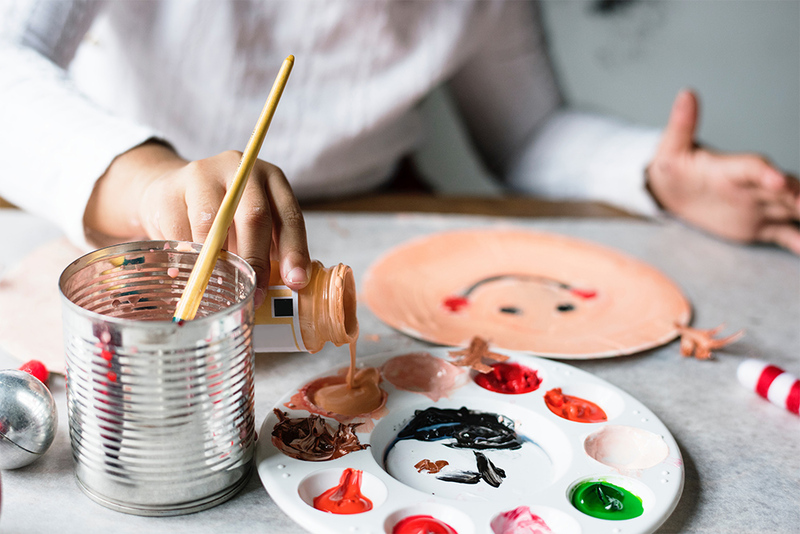 Set out terra-cotta pots filled with crayons and let the kids design their own table art. Added bonus: Kids stay busy while grownups linger at the adult table. Start a new tradition with a simple cork message board. On a table near your entryway, set up a framed cork board along with pushpins, fine-point black markers and paper leaves cut from old books or scrapbook paper in a variety of fall shades. As family and friends arrive for Thanksgiving, have them write what they are thankful for on a paper leaf and pin it to the board. After dinner, read the messages aloud. Homes are filled with all kinds of yummy aromas on Thanksgiving. 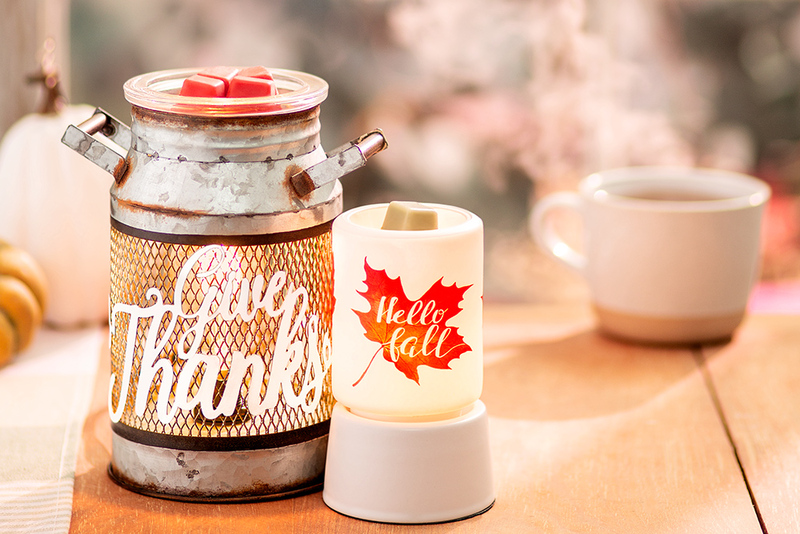 Enhance the experience — or have guests believing you made that pie from scratch — when you warm Scentsy fragrances such as Baked Apple Pie or Pumpkin Roll in your favorite fall warmer. Or let Scentsy provide a refreshing break from baked goods with a Sunkissed Citrus or Lemon Verbena Scentsy Bar. 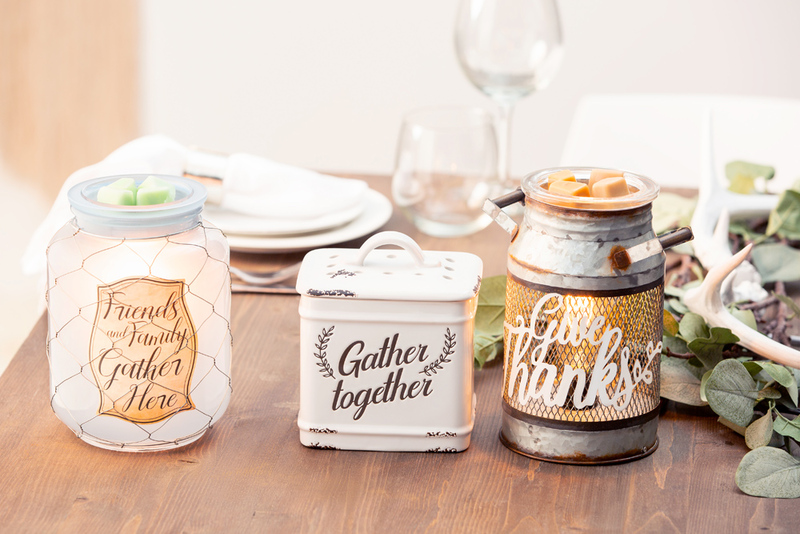 Warm a few cubes in a Gather Together, Friends and Family or Give Thanks Milk Can Warmer, or in a Hello Fall Mini Warmer decoratively placed in the guest powder room. Find seasonal fragrances, themed Scentsy Warmers and more on your Consultant’s Personal Website. Don’t have a Consultant? Find one near you at scentsy.com. Separator image Posted in Family, Home Décor, Our Products.